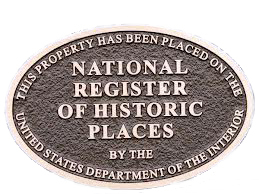 We are pleased to announce that the Mount Tabor Historic District will be considered by the New Jersey State Review Board for Historic Sites for nomination to the New Jersey and National Registers of Historic Places. A community meeting will be held on Thursday, October 23, 2014, at 7:30pm at the Tabernacle, located at 31 Simpson Avenue in Mount Tabor. A slide presentation of the district will be shown and a member of the New Jersey Historic Preservation Office will be on hand to discuss the implications of listing and to answer questions. The New Jersey State Review Board meeting will be held on November 13, 2014, at which time the nomination will be considered. The meeting will begin at 10am in the 4th floor large conference room, at 501 East State Street, Trenton, NJ.